Central High School’s theatre department is home to one of the fastest growing theatre programs in California. With three full time theatre teachers, twenty course offerings, and multiple play productions each year, there’s something for everyone. Our troupe began with just 9 members in 2016... This is our troupe now! Since 2016, Central Theatre has been a part of the International Thespian Society, a high honors association for theatre students. 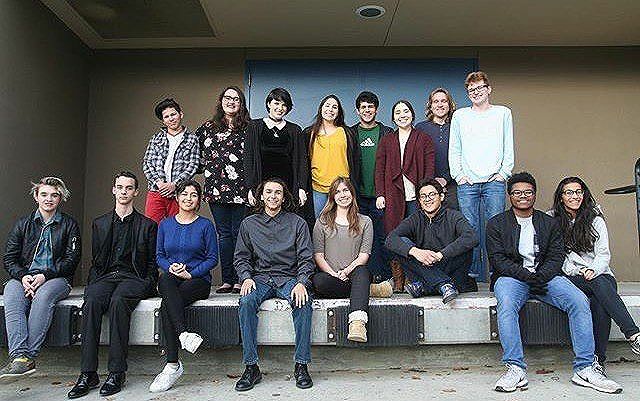 Our troupe was founded by Thespian alumnus, Chris Berzac, when he took our first travelling competition show, "Small World" to the Northern CA Play Festival in Campbell, CA. Unheard of for a first-year troupe, we won first place and were invited to perform at the CA Thespian Festival in Upland, CA. Ever since, our troupe of dedicated theatre students have competed at Thespian festivals with excellence and above all else, great character and heart. Troupe 8214 serves as the leaders of the theatrical student body and as Central High representatives both home and abroad.